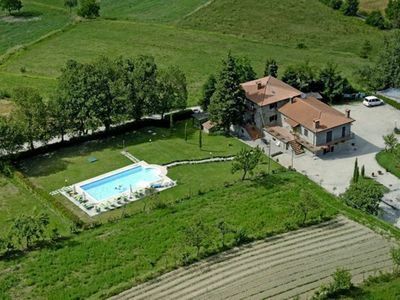 In the Valtiberina valley (the best of Tuscany and Umbria conbined together) you will find Caprese Michelangelo. 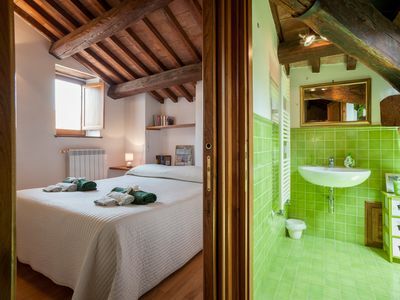 La Casina a is included in the country village called Caprese Michelangelo, the birthplace of the eminent Italian painter and sculptor of the Renaissance Michelangelo Buonarroti, and it is set near the charming town of Arezzo. The Italian owner and his family also reside on the property. Restaurant inside the property available for the guests for breakfasts and dinners. Food shop at 800 mt. 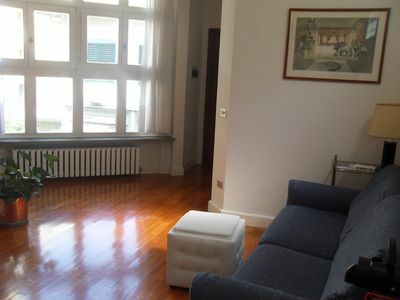 Apartment 'Il caminetto': 45 sqm first floor, 1 double bedroom, 1 bedroom with two beds and the kitchen.